We’re thrilled to launch our first piece of work for Champneys, the UK’s original health spa and one of the world’s leading wellness destination businesses. Our task was to devise a creative concept for their Black Friday promotion, and execute it across print and digital channels. The result is an eye-catching art deco-themed campaign that draws on inspiration from the company’s beginnings in the 1920s. 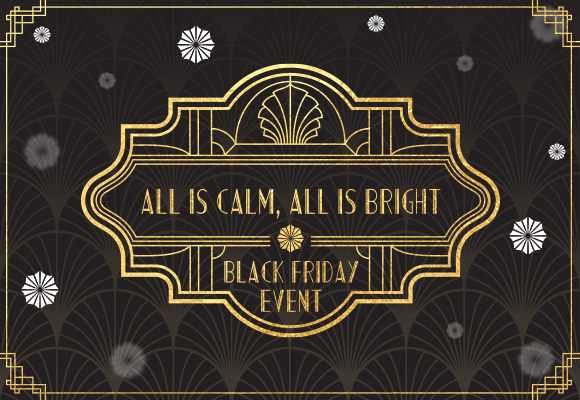 The campaign’s tagline “All is calm, all is bright” conveys the relaxed, glowing feeling of a Champneys experience. It’s also a nod to the fast-growing tradition of Black Friday kicking off the Christmas shopping period. Our campaign is live now across digital and social channels, as well as in Champneys’ destinations and City Spas. We are very proud to see it out in the big wide world, and also to add such a historic and innovative brand to our growing portfolio of beauty and personal care clients. 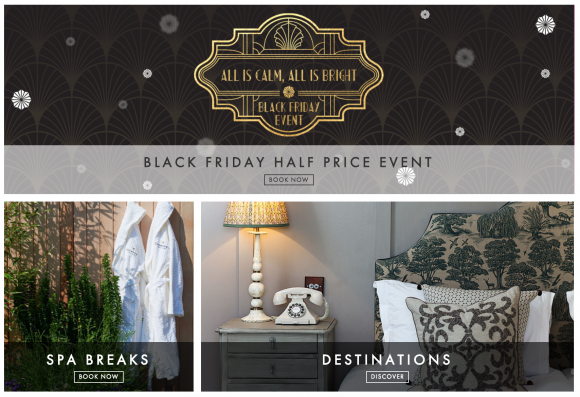 Head to the Champneys site to check out all their amazing Black Friday deals – the perfect gift for a loved one this Christmas!